Loveland is one of the most beautiful cities in all of Colorado. As such, you want your home in Loveland to be just as beautiful. Father & Son Painting is a local painting company right here in town, and will give you the best painting possible right along with our personal, friendly service! Father & Son Painting has served the Northern Colorado area for more than 30 years with personal and professional service that we can hang our hat on. Over the years, we have built the trust of our customers with personal service that is unmatched in Northern Colorado. In addition to Loveland, we serve Fort Collins, Estes Park, Windsor, Greeley and everything in between. Quality is our number one concern, which is why we only use Diamond Vogel paint for all of our painting jobs – whether commercial or residential. 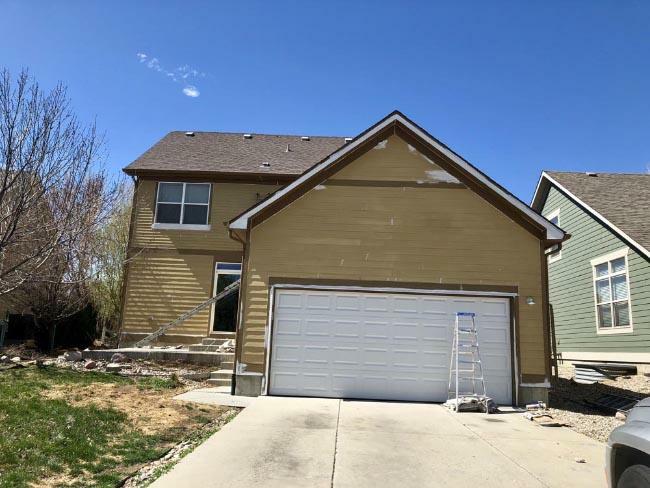 Diamond Vogel paint is among the best in the business, with long-lasting finish and durable against the harsh elements that Colorado weather can muster. When you get your home painted by Father & Son Painting, you know that it’ll stand the test of time. Call us at (970) 225-0968 or fill out the contact form if you have any questions about our services, hours, or rates. We are proud to be a trusted local paint company in Loveland, CO and look forward to hearing from you!